Perfect to prevent phytosphora, phytium….or to fight againts powdery mildew for example. 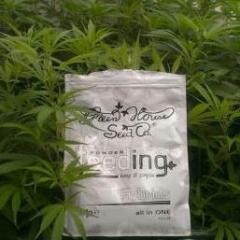 In addition, increase the life and energy in the soil with amino and carbohydrates, and promotes the plants rooting. In fact, we did a lot of tests germinating seeds. Apply between 0.3gr-0.5gr/liter the growth was increased significantly. But obviously, this would be only neccesary if we are working with old seeds, or with bad conservation. In anyway the expenses, for the low amount of Enhancer in the mixture, is insignificant if we want to use it in all our seeds germinations. Each 15 days, I make manteinance in my mothers room, removing new sprouts. I usually put these cuttings in a plastic glass with water like backup for the next 15 days. One month ago, I irrigated a few automatic seeds with water+0.3gr/liter enhancer. I used that mixture in the plastic glass where I put he cutting plants(backups). 4-5 days later, I took a look the cuttings and I saw roots in 3 (between 25+-) of them!! Eureka!. You can imagine my face. 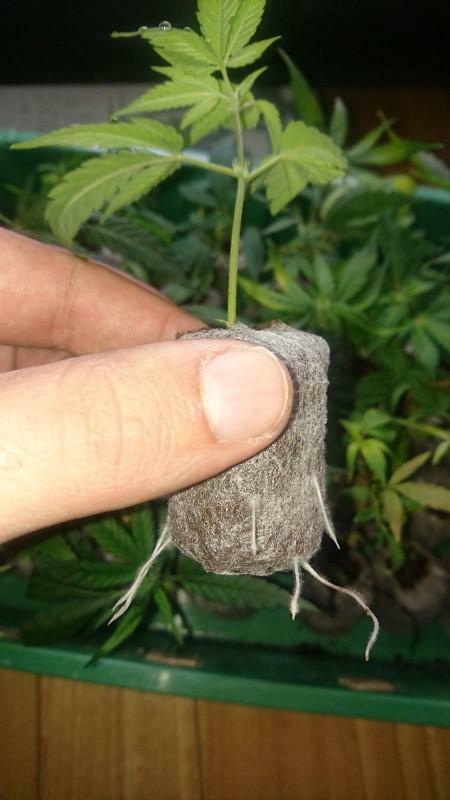 I did the same the last +15 years and never I saw roots with that size in 4-5 days, only putting one cutting in water. Like I am not looking for roots, I didnt take pics, and I dont know if exactly was 4 or 5 days. But after see that, It was enough to make one test. Easy!! Keep it simple style! 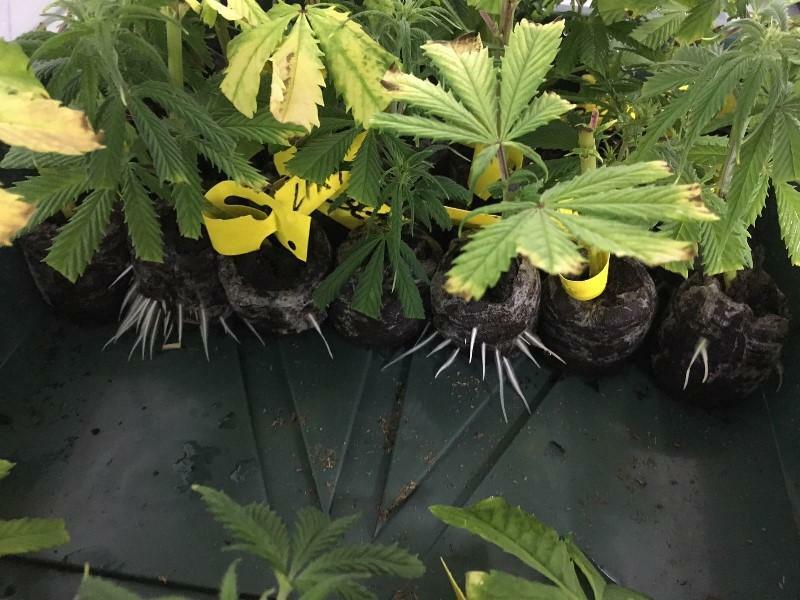 Only with that, I had roots in 6 days, and the cuttings were ready to leave the greenhouse 1 week later, only with 0.3gr of Greenhouse feeding Enhancer, and without hormones or additives. And I was travelling, so the cares were zero. And of course, we can root plants only with water and one medium, water, soil, coco... 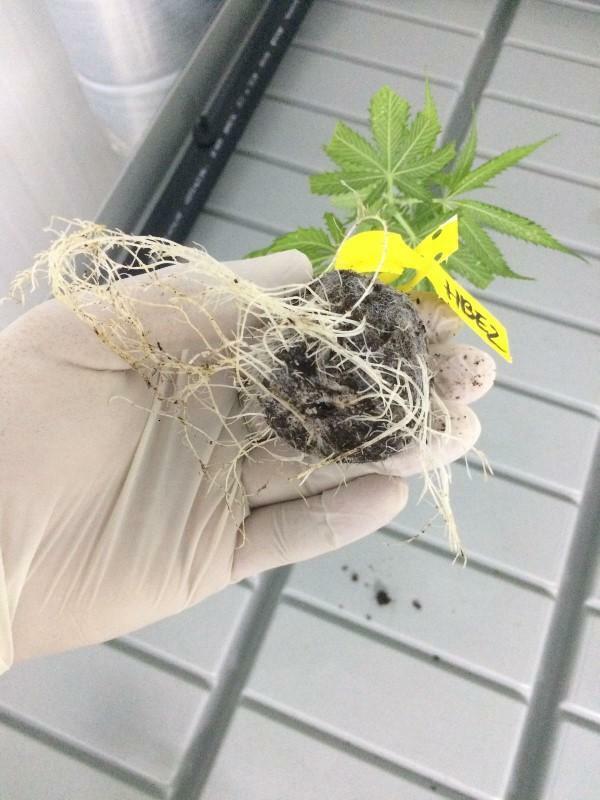 But 100%, in 7 days, without hormones, and only make clones and transplant 1 week later, is very nice! So I did another test, with the same results. Cutting plants ready in 1 week. I was speaking with my engineer mate in the office about this. And he did the same , and roots in 7 days and a long hairy in 15 days. Pics attached. Amazing!!! In the same time I did another test with one Chemdog mother. Is a very special plant for me, with a incredible taste. Only for that I keep it, because is a hell cloning It and have a very slow growth in the first stage. For that, when I want grow It, I always use additives to get roots in 15 days. The last times I was with Azos, from xtreme gardening. Azospirillum brasilensis. Is a nitrogen fixim bacterium who estimulate the roots. I did a few clones with Azos, and a few clones with Enhancer. 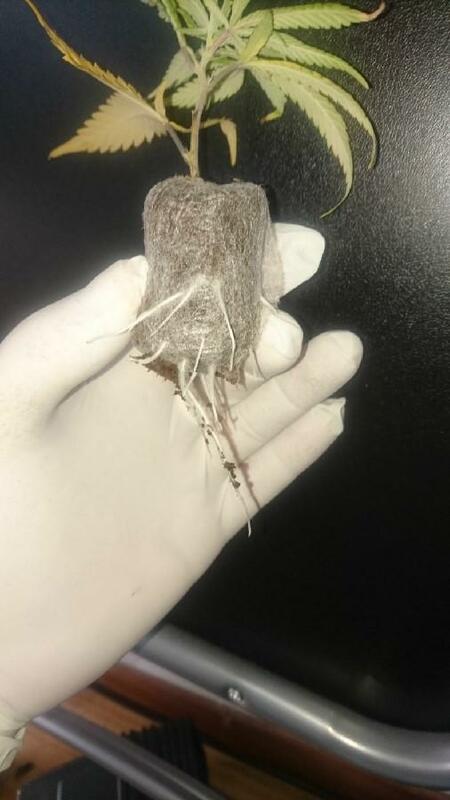 And “voilà”, roots with Enhancer in 7 days and any root trace with Azospirillum( usually roots in this strain in 12-15 days, sometimes later) Incredible!! chemdog and Ssh pics, 8 days. One of them gave me Clonex(out of the market in Spain)because he is using it to make clones of this strain, and I will make a comparative between these hormones and Enhancer the next days. In my opinion Clonex have more name than unique results. But like a few years ago It was the main product in the market to make roots, now out of the market people think is the best. And yes, the AIB Works, but isnt the panacea. Very good work, my friend, really impressive operation of this product, for the use of cuttings. I thought it was only used for the soil, but seeing these results .... from now on, it will be my product to root cuttings. Definitely! Hope i get a chance to try this method in the future. Be sure I test that on my futur selection of SLH that I have in now in the fridge! It works, and it works very well! After 8 days the first little roots come out the cube!